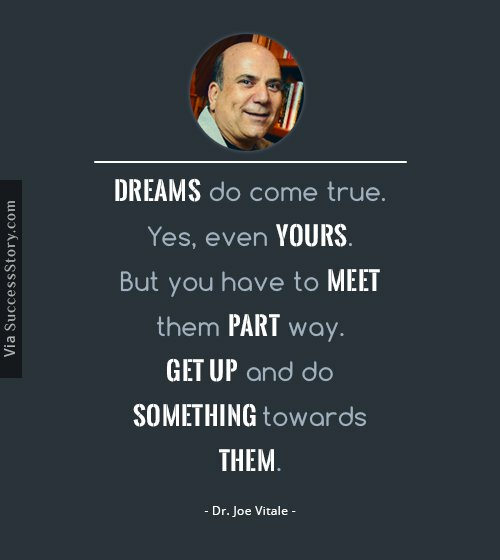 Dr Joe Vitale, the bestselling author who inspired millions of minds with his words and writing is well known for his many achievements. An author of some of the most powerful books in the shelves, Vitale is also an active entrepreneur and musician. 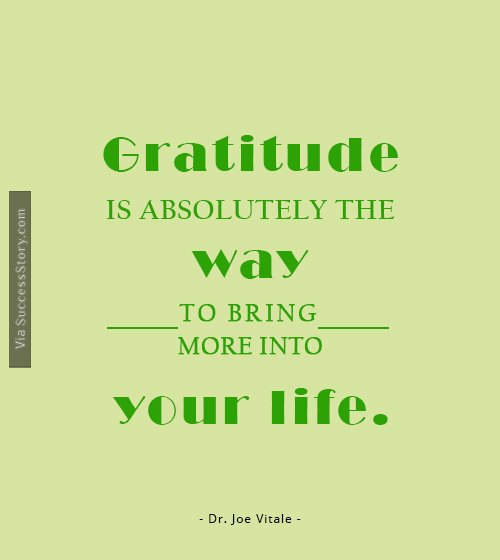 Joe's Quotes on Positive Thinking and the effects of universe have motivated and inspired many who found themselves at the crossroads of their lives filled with trials and tribulations. 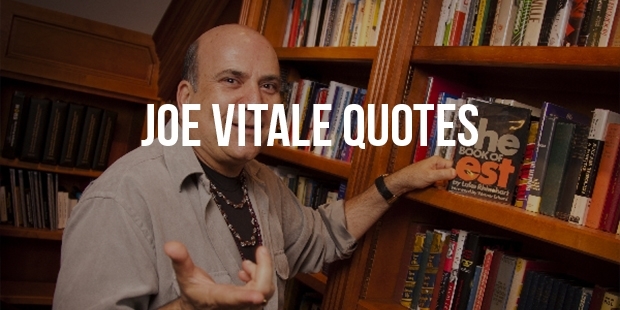 Vitale's writings and quotes are mostly about successful thinking. "Dreams do come true. Yes, even yours. But you have to meet them part way. Get up and do something towards them." 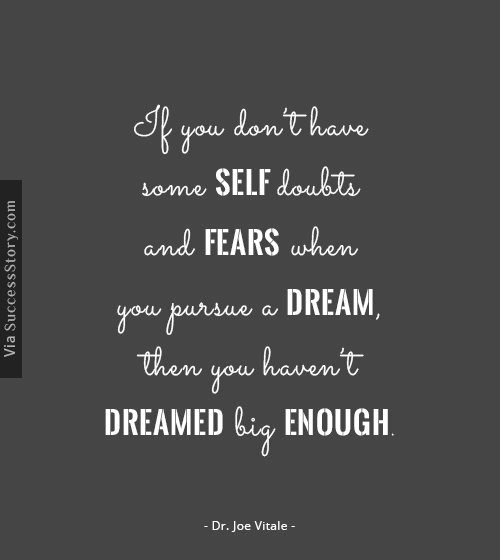 "If you don’t have some self doubts and fears when you pursue a dream, then you haven’t dreamed big enough." 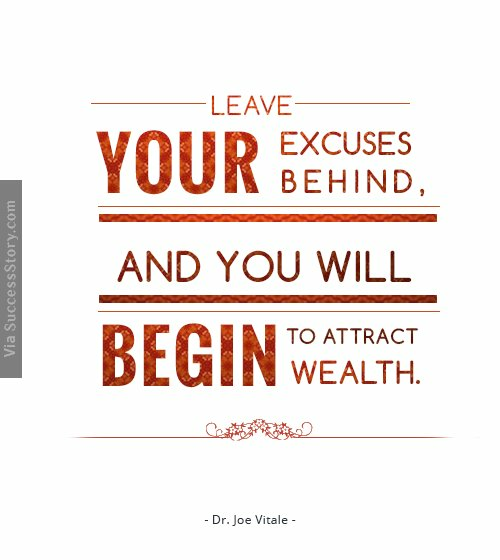 "Leave your excuses behind, and you will begin to attract wealth." 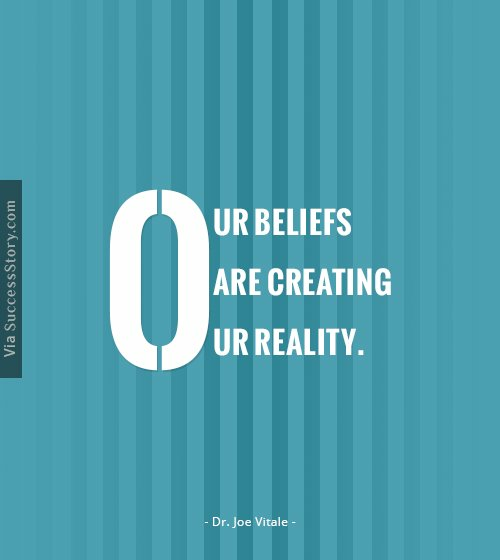 "Our beliefs are creating our reality." "What can you do right now to begin to turn your life around? 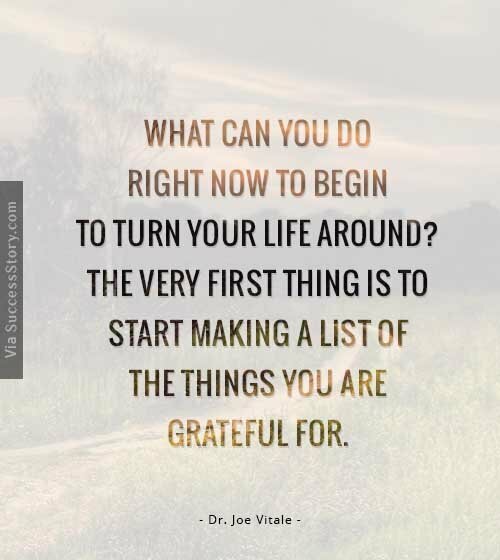 The very first thing is to start making a list of the things you are grateful for." 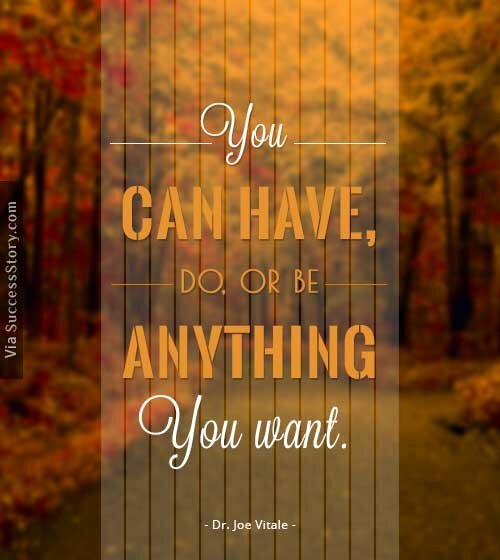 "You can have, do, or be anything you want. 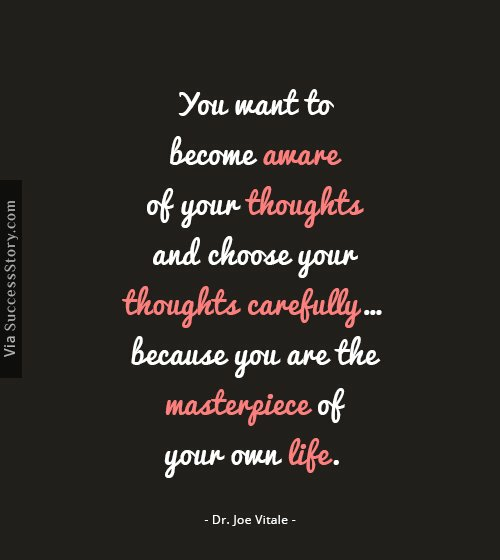 "You want to become aware of your thoughts and choose your thoughts carefully…because you are the masterpiece of your own life. 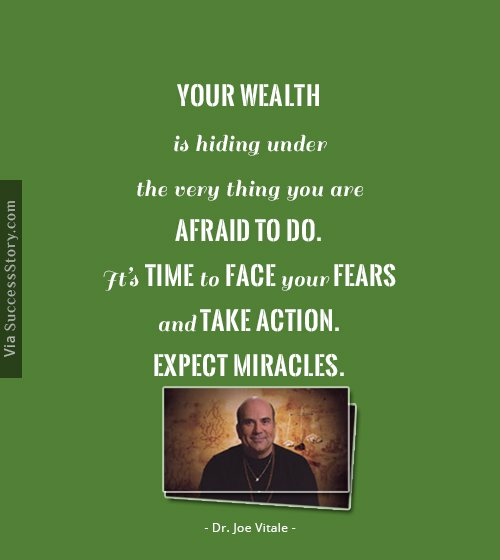 "Your wealth is hiding under the very thing you are afraid to do. It’s time to face your fears and take action. Expect Miracles." Joe Vitale always stresses on the importance of having the 'right' thoughts to achieve the right results. He had made it his mission to educate people about the value of controlling mind and actions with a channel of powerful affirmations. What we think is precisely who we are. A lot changes happen when we start thinking powerfully. His quotes on winning over the inner fears, nurturing a feel-good mindset, Ways to Practise Gratitude. positive energy, focus and happiness went on to make many of his followers to switch to better lives by adapting enriched minds. Dr Joe Vitale featured on the leading media networks such as The Secret, CNBC, Big Idea, Larry King LIVE etc talking about the need to adopt to a better life. His recent interview with Carl Harvey on The Big Life stirred the masses about the depth hidden behind The Law Of Attraction. This great man has changed the way people lived with sheer thoughts of success.